Horse and Hunk calendar 2019! 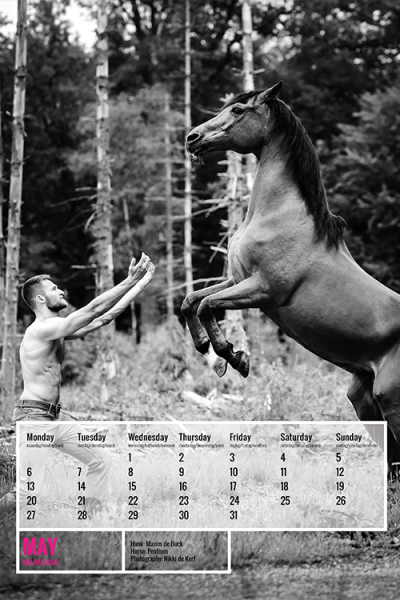 Horse and Hunk is 10 years old and we celebrate that with a double thick year calendar! That means no twelve chosen handsome men and horses but twice as much! And they are certainly tough. With their muscular torso the hunks sit on a galloping horse over the beach or even let the horse ride on command. Who do you think is the best?